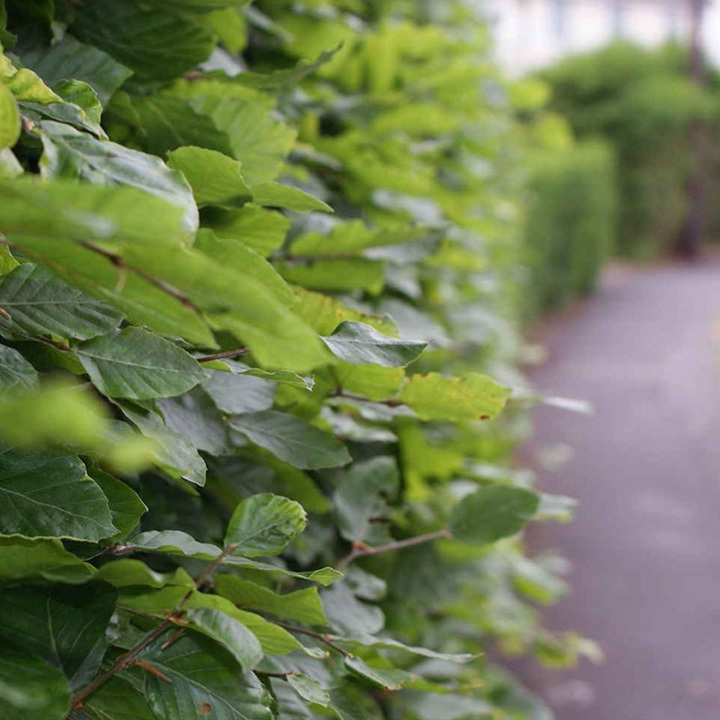 Beech hedging becomes a beautiful, bright green hedge in spring/summer and then in autumn/winter, it retains its medium sized leaves but they turn dry and copper coloured so it has two distinctly different appearances depending on the season. 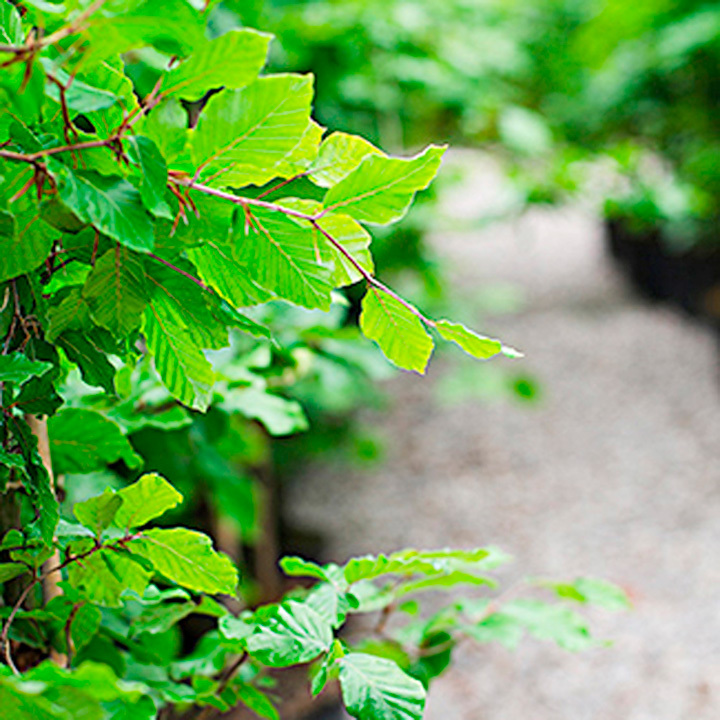 Beech hedging plants are classy when cut to a formal shape but it can also be used as a semi-evergreen component in a mixed native hedge. It will grow to 5m (or perhaps even more) but because it's just medium growth rate, it can be easily kept as a relatively low hedge - 1m upwards. It is a species that is really only suitable for free-draining soil - if your soil is wet/heavy clay, you should consider Hornbeam instead which has a very similar appearance but is better suited to wetter soils.Grows 30-60cm per year. Available in 2 litre or 5 litre pots. Ideal for beds and borders. Attractive to birds. 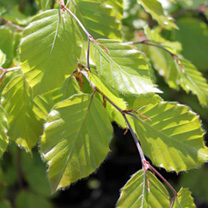 Prefers full sun or partial shade.